Clinical nurse Steph Davis is currently travelling in Rwanda on a surgical mission with two medical professionals who helped nurse her back to life when she had a brain tumour as a child. 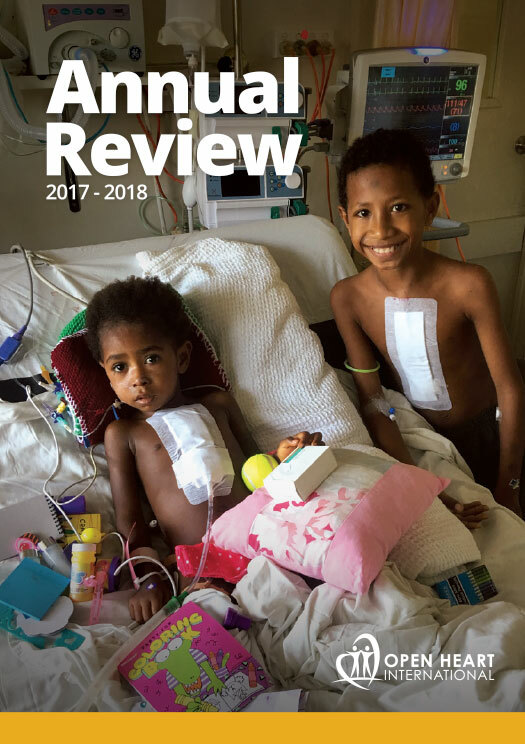 Paediatric nurses Bethaney Chidlow and Robyn Wilkinson, who are currently volunteering in East Africa for Open Heart International, looked after Steph as a patient at Princess Margaret Hospital (PMH) in Perth. “When I was 12 I had a brain tumour and I was treated on the ward that I work at now,” Steph said. “I am very lucky to be alive and I was very happy it was Beth and Robyn who looked after me. It was also Bethaney and Robyn who introduced Steph to Open Heart International, who she is representing for her third mission. “Robyn, Beth and Andrew always volunteer and I work with them at the cardiac ward at PMH,” the now 30 year old says. Steph got her first taste of volunteer work during her final nursing prac year. “I went to Thailand where we worked in orphanages and hospitals and did community service,” she says. In addition to working as a nurse and volunteering overseas, Steph is studying her masters. “I am doing my masters in clinical nursing because I enjoy learning more and I think in nursing there is so much to learn,” she says. Other fellow Open Heart International and PMH colleagues Dan O’Leary and Dannielle Beard have convinced Steph to train for a half iron man triathlon, which she has never done before, while she is in Kigali. “I only bought my first bike in August last year when I hurt myself running and I had to do some training,” she says. “Then my friends talked me into doing triathlons and so I signed up for the hardest one, which is two days after I get back from Africa. The budding triathlete tested the theory locals clap for you as you run past them in Kigali. “I made a little friend, a little boy, who followed us along and was sprinting along us during a run,” she says. “Then another time a man started clapping me and we just ended up jogging together like a little team. In addition to other marathons, the energetic Steph wishes to travel more with Open Heart and make lifelong friends. “I love Rwanda, but I would love to go to other places such as Fiji, Tonga or Papua New Guinea,” she says. “The thing I love about Open Heart is becoming closer to different medical professionals. “In Perth we do have a good rapport with doctors but you don’t get to sit down and have chats with them like you do here.